When you're looking for something to do that is fun but not strenuous, check out the suggestions on our list of leisure activities NY. If you love the outdoors but don't want to do anything extreme, this list of outdoor leisure activites in NY is for you. If you're interested in archery NY, we've listed a great selection of archery ranges in New York. 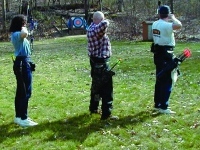 Enjoy ny archery at its best by taking aim at one of these archery ranges in Ny. 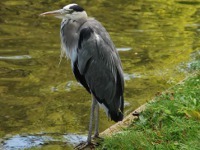 If you're into bird watching New York, we have listed a selection of great bird watching spots in NY. See our complete list of outdoor locations where you can enjoy ny birding at its best. Find camping in NY that you and your family will adore. 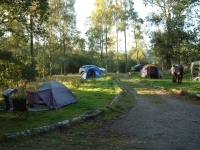 Search for campgrounds in NY, where you can enjoy a comfy stay while still cherishing the great outdoors. See our great list of NY campgrounds before you plan your next family vacation in the state. 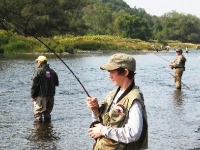 Enjoy New York fishing in parks, oceans, and other locales throughout the state. See our complete list of places to fish in Ny. Take advantage of the finest ny fishing after browsing through our detailed reviews of places to fish in New York. 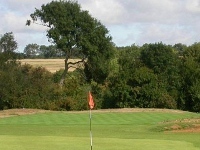 See our comprehensive directory of New York golf courses. Make a hole in one at one of these luxurious new york golf resorts. Find all the information you need to know about ny golf courses. 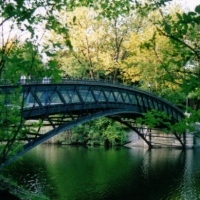 Search for the most beautiful and most fun New York parks in NYC and other areas of the state. Find out whatever information you need to know about all types of NY parks. 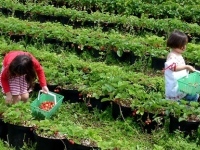 Pick the freshest fruit at the best pick your own farms NY has to offer. See our complete list of pick your own farms in NY. Enjoy the finest tubing NY has to offer in parts of Upstate NY and other areas of the state. 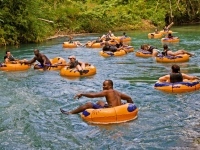 See our fun and comprehensive guide to tubing in NY.